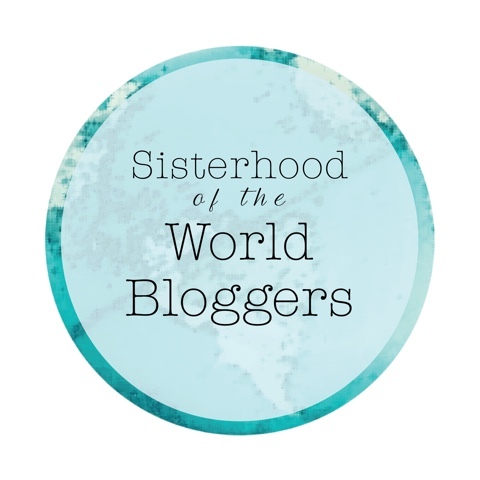 That's right, thanks to Amy Walker from hadhOpeamy I'm now part of the Sisterhood of the World Blogger Award. It might only be the 4th day of a new year, but what a start it has been! My views have doubled. I've been retweeted by one of my two favourite bloggers. I've been offered so many different opportunities. All of my collabs and new content are coming together. And my personal life is awesome! So this Award is in good company with my other 2016 achievements. And if this is all within four days, imagine what will happen within the year!! The rules of the Award mean that I need to answer the ten questions posed by Amy, nominate other bloggers, and pose ten more questions to those bloggers. Unfortunately I don't have the time to write another ten questions so I'd just like my nomination to answer the questions that I have. I also don't follow many bloggers, I just read posts that catch my eye. However, I would like to nominate a very kind person: Annie May from adiostoanorexia.blogspot.com. - I'm usually at home, snuggled on the settee with a blanket, Diet Coke and movies. Q2) Where do you find the topics you write about? Q3) What are your blogging pet peeves? I never read through my posts before publishing them so it's really annoying if I look back to get info for other posts and notice mistakes. I also receive lots of guest posts and don't read through these until I'm typing them up to be scheduled and it's so annoying if I realise that it's not relevant content. Q4) What draws your attention to a blog and makes you want to follow it? Q5) If there was something you could change in your blogging past, what would it be and why? If I had any regrets with I'm NOT Disordered then it wouldn't be where it is today; and I'm very proud of what it has become. Q6) What is the main thing that keeps you blogging regularly? Q7) In two years time where would you like your blog to be? There's no way I could imagine that far ahead! But I'm optimistic and hopeful for the future of I'm NOT Disordered. Q8) Do you share your blog with people you know in real-life or is it all online only? I think that initially, my readers were mainly my friends and family who I had on Facebook as that's where I first posted links to new posts. Next to no one knew I had a mental health disorder so I think they were interested to see exactly what that entailed. Although, I do try to forget that people I know are reading what I write because I think it might affect what I write. Q9) What's your favourite way to connect with other writers/blogging? Q10) Do you have any tips you would like to share with fellow bloggers? If you can dream it, you can do it. Put your everything into everything you do.